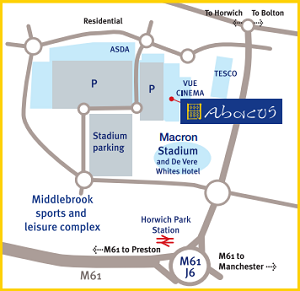 Abacus is located within the Middlebrook Leisure Park, Horwich, Bolton. 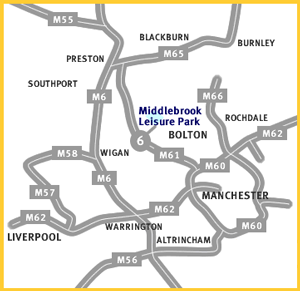 The complex is easily accessed from M61 off Junction 6. Whichever direction you come from, The University of Bolton Stadium will be the dominant landmark within the area. Abacus is situated by the Vue cinema complex which is behind the stadium.